River Close Season – Is it time for a rethink? Looking back through my diary since the turn of the year showed how few opportunities there has been in 2014 to grab a days fishing on a falling river over this backend period. For us river roach fanatics the weeks between Christmas and the end of the season can be a golden time. The weed has gone, natural food supplies are low and the fish, if you can find them, are in fine fettle. In a normal year the rivers have had at least one good flush through and are usually carrying sufficient height and colour to make for some promising prospects. And of course it’s not just roach that are in their prime at this time of year. Chub, dace and perch are all viable targets and will oblige if conditions are right. The problem being that with record rainfalls, approaching biblical proportions across much of the country, the conditions for backend fishing this year have been anything but right. Anglers on the larger rivers like the Thames and Severn have barely been able to get within half a mile of their favourite swims, much less fish them. All of which gives the annual close season debate a fair bit more intensity this time around. But first it’s confession time. Back in 2000 the Independent Salmon and Freshwater Fisheries Review proposed that the close season on rivers should be lifted other than “where its retention is necessary to avert serious risk of damage to fish stocks” but intervention by Parliament confirmed that it couldn’t be lifted until supporting scientific evidence was available. I’m afraid that I was part of that intervention as I’ve long held the view that the close season was necessary on rivers given all the other pressures on this fragile environment. The flaw in this argument is that the current three month closure between mid March and mid June has precious little basis in science. Now there is absolutely no doubt that the river close season is a live issue amongst a minority of anglers, particularly focused around the Midlands, but there are strong views on the other side of the argument too. Here at the Angling Trust we have two of our most respected and valued ambassadors who who take diametrically opposed positions. Keith Arthur is a passionate supporter of retaining the existing close season whilst Dave Harrell has been arguing for many years that there is no logic in stopping anglers fishing during a period when the rivers are in prime condition and the fish are, in the main, nowhere near ready to spawn. With climate change delivering more and more extreme weather we are now facing the prospect of an effective six month shut down on many rivers. Not something that was ever envisaged in the 19th century when the current closures were introduced. The devastating floods of 2014 have impacted on the tackle shops and the tackle trade as much as on any other business that relies on participation in an outdoor pursuit for survival. This has led the Angling Trust to write to the Prime Minister arguing that these businesses should be included in the floods compensation measures. It has also caused others to ask us to re-ignite the river close season debate and to make formal approaches to the Environment Agency and to government. Now I don’t deny that issues that divide angling opinion are more tricky for us than those on which there is a broad consensus but that is no reason not to engage with them. The job of a national representative body is to take up important mainstream issues and to see if we can find a way through which would benefit our sport without harming the environment and the resource on which it depends. So that is precisely what Mark Lloyd and myself want to do. We first want to facilitate a serious debate within angling prior to approaching the EA and this article is our way of kicking things off. We very much hope that others will contribute their own thoughts and ideas. We are not treading new ground here. The EA did conduct a very limited survey in 2003 to gauge anglers’ opinions on the river close season. Out of 173 responses from river anglers, 55 per cent supported the removal of the close season and 45 per cent didn’t. The subsequent National Angling Survey confirmed a division of opinion whilst polls in the angling media have shown weakening support for the current arrangements. More recently Steve Pope, the respected chairman of the Barbel Society and previous strong advocate of the close season, announced that his position has shifted and that he believed it was time for a rethink. So I reckon it’s fair to say that the ground is shifting in angling but what about the science? The Environment Agency’s position on rivers remains that it feels it must take the precautionary stance of retaining the close season, until such time that it can be confident that removing it wouldn’t have a detrimental effect on fish populations. Its view is that this evidence could only be provided by an appropriate study being undertaken.Those advocating change need to accept that there is no way the close season will be altered in this country until such a study has been carried out. I hope all anglers will agree with this for as much as some may want to be able to fish on rivers all year round they certainly shouldn’t want to do anything that might detrimentally affect the very fish populations that our sport relies upon. 1) There is no point expecting a risk averse organisation like the EA to do anything without testing both opinion and the science. 2) This is a live issue amongst a minority of anglers, particularly focused around the Midlands, but there are strong views on the other side of the argument too. 3) There are risks attached to compromising the conservation credentials of angling. The impacts of any disturbance to spawning areas are clearly more acute in smaller streams than in larger ones. And of course we use the presence of the river close season to argue against unfettered canoe access to smaller, non navigation, rivers and streams. 4) Issues that divide angling opinion are more tricky for us, however, that is no reason not to engage with them but it is a restraint. 5) There are differing close seasons on different game rivers, depending on local fish spawning patterns, so why not on coarse rivers? 6) Although close seasons are about protecting fish rather than tackle shops there is an issue about impacts on businesses. 8) Part of this review could include an experiment in a specific catchment. Perhaps the Severn? 9) Some fish do feed when spawning. At the start of the 2013 season captured Wye barbel were secreting milt in mid June. On the other hand species like dace, whilst readily caught when shoaled up prior to spawning, seem to disappear once spawning commences. 10) Dace and pike are the early spawners, often in March, followed by a lull in April. Roach and perch tend to spawn next and then chub and barbel in the May / June period. So I guess there’s an argument for closing the river pike season off on March 1st and shifting the river break to May and June. This way we would be delivering a longer river season at the optimum time for both anglers and fish and without compromising our conservation credentials. These are just a few of my personal thoughts but I hope people find them helpful. Although I am clear that the EA should lead the process of reviewing the river close season I believe that the Angling Trust should stand ready to facilitate, as we have in the past. The Angling Trust is keen to hear anglers views on this subject. So …..is it time to rethink the close season on rivers? Surely if private lakes and fishery clubs can choose to extend, close or not have a closed season where fishing pressure and re-catch rate is undoubtedly higher than in rivers the study should start here. I would suggest if the fish welfare is shown to have little to no effect in these confined places then the effect on rivers where re-catch and pressure doesn’t even compare to private lake fisheries/ clubs in my opinion means the effect of a open season all year would have no detrimental effect on our river fish stocks. I’m in favour of a full open season!!! Responsible anglers who understand spawning periods will/ should have the opportunity to target other species during these known spawning periods but the key here is being responsible but that’s a different subject. I would like to keep the “Close Season”. There is good reason to change the dates and maybe this could vary regionally. The only problem with regional variations would be Anglers being confused as to dates applying and signs/notices locally would have to be made very clear.. It would make more sense to move the close season to the end of April till the end of July, on our local river is only fishable from late October until the end of the season –as in the summer months it is chock a block with weed and unfishable. plus the River level is lowered in the winter months and it would make sense to keep the river open for fishing until the water is up to summer level. Martin – This makes sense as our rivers struggle to attract anglers away from venues open all year round and really what is the difference. I agree that a vibrant local tackle trade is important to us all, in these struggling times. I feel it’s definitely time for a rethink based upon science… it seems logical that course rivers could operate in a similar manner to how certain game rivers currently do. I have personally experienced catching barbel in June on the Wye that are secreting milk so I would be more than happy to see a shift in the close season if that’s what’s required. Um! I think you will find that game fish are / were taken for the table and fish in spawn are not good eating – hence the close season for “Game” fish. generally, coarse fish in this country are no longer taken for the pot so really no rationale there for a close season is there? Lots of fish are taken for the pot. I’ve written on this subject so many times and been called an “idiot” by some high ranking officials of national groups, all of which makes no difference to me. The CS was brought in to protect gravid fish that were, at the time, killed to be weighed in matches, the only part of the sport that was popular then. As soon as long keep nets became popular, the CS became obsolete. However, the EA are unlikely to move on this as any study, they will claim, would cost money they don’t have. One idea could be to ban live and dead fish baits along with spinners/jerkbaits etc. during March and April, and then ban any other type of bait intended for coarse fish during May and June. At least some anglers could get on with practising some sort of sport on the rivers and thereby keeping an eye on them. What is the difference between fish spawning in rivers and Stillwaters, do Stillwater fish count for less? Stillwater and canal fish still spawn yet fishing is allowed all the year round.If fish are spawning you leave them alone. The laws are outdated and do not take into account the very real danger of our rivers being plundered by immigrants who sadly take advantage of badly policed and out of the way stretches of river, and to those who may jump on the Liberal bandwagon I say “Get real” in my area poaching and fish theft by any disgusting means is a real and substantial threat. It is all some people can afford to make a trip for a few hours with the price of fuel you cannot expect them to check on the water for 3 months for poachers . Well said Eddie. All other field sports have a close season and angling should be no different. There are plenty of commercial still waters where you can fish for those three months if you must, and if you can stand the denuded banks and “ripped lips”. June 16th is a joy made all the more special by three months enforced abstinence; stop being selfish and keep the close season. John B – I understand your view but really it doesn’t add anything. If you really believe that catching fish as we anglers do cause serious harm to the fish, during the “close season”, how can you justify doing such harm in the rest of the year? The close season, for me, remains an anachronism from earlier, less well informed days. It is time it was abolished. It might add some information to this thread if we had some information on the impact of no close season in other countries – I don’t believe Scotland for example has a coarse close season and would be interested in any perceived impact from the Frozen North…? What about other countries around us – France, Holland et al..? Do they take fish for the table – I assume the French do so given their proclivity for snails, frogs etc…. I have said before in this ‘debate’ that the reason the close season was introduced was to protect spawning fish when coarse fish were routinely killed for the table; that does not happen these days and so the rationale for a close season, given the careful fish handling we now seek to provide (such as unhooking mats, barbless hooks etc.) has gone. Can we please keep this issue to a factual basis – drop the emotional stuff – it belongs to the era of Mr Crabtree and anglers preceding him…. I suspect the 9only way this is going to get a go-ahead will be some form of vote based on Rod Licence reference number. Those among us who wish to continue with a river close season are. of course, at liberty to impose this restraint upon themselves as part of tyheir personal ethics of fishing. But please do not fall into the error of claiming harm to fish – that is just fodder for the “Anti’s” !!!! Many thanks for the opportunity to express my views. Not much room for a lengthy reply but, yes, the coarse fishing closed season on rivers is, well, coarse, but that is the way it was intended by its progenitor: Anthony John Mudella. It does not cover the precise spawning time of all coarse fish species within the broad scope of natural variability every year and regionally. But it does cover most for most of the time and also gives the whole bankside (nesting birds, trampled swims, etc.) a break too, enabling natural regeneration of the places we love including their fish stocks. Handling fish does cause stress, albeit that we try to minimise it, and spawning is a naturally stressful time so I am all in favour of curtailing my pursuit of the fish I love for their own benefit. Part of the reason I value the coarse closed season is also that I do other things and look forward to getting out at midnight on 16th June for a (generally disappointing) session! I’m afraid that arguing for lifting the closed season of economic grounds does not stack up, as many potentially lucrative activities are of questionable benefit to society (we can all list banned ones and ones we think should be banned!) So that’s a snapshot of a far biggest justificationas I see it. Oh, and my birthday’s on the Ides of March (15th) so I enjoy NOT getting up for a dawn raid on the river! I’m afraid that anyone who wants the closed season on rivers abolished should seriously think about whether they should call themselves anglers or fishermen, there is a difference! As anglers we consider ourselves to be conservationists, people who care very much about wildlife and the well being of the countryside, therefore, I am very much with Dr Mark Everard on this one and if you are not, then you are most certainly a fisherman! Would the shooting fraternity consider abolishing any of their various closed seasons, and if they did what would the general public’s perception be? This is something we very much need to consider and be aware of the possible consequences, fuel for the antis. If the closed season were to be abolished would the landowners to which clubs pay their rent not want to increase these fees to reflect 12 months access rather than nine, of course they would!. unfortunately we live in an “I want it all and I want it now society” one driven by money and greed, that cares little about the natural world and I for one really don’t want to see the sport I love and care so much about go any further down this road after taking a first step when the closed season was abolished on stillwaters to pacify the owners of those awful commercial fisheries! This is Pandoras box chaps…………….don’t open it on my account! Mark – sorry, but what a load of twaddle… “I like the close season as it lets me do other things” – did you really mean to say that? Surely the main reason for the close season for coarse and game fish at the time it was imposed was largely because most fish caught were killed and it would clearly be abhorrent to kill a gravid fish and put at risk future population.. However, in these more enlightened times, fish deaths due to angling activity are quite rare – I would perhaps concede a need to limit any period of retention in a keep net – most clubs seems to have those sorts of rules for lakes already – but that is more of a concern about large fish in keep-nets for long periods during periods of hot weather, not their ability to breed successfully. I don’t think your foray into the economic argument helps your argument – but as I don’t really understand what you are trying to say I will forebear to comment. Sorry. I believe that we have to consider the welfare of fish – I do not believe being caught, properly handled and returned has any lasting impact; (your statement that it causes “stress” is an assertion for which there is little proof – and for which there is much evidence of repeat captures in a fairly short space of time) I do think that there are stretches of river where quite a lot of bait is routinely hurled in – the impact of that stopping may suddenly leave fish accustomed to this (and a larger than natural population supported by it) at a loss for their normal food source just when they need to pile on weight for spawning – I would wish to see some more informed and considered view on this rather than my speculation.. Getting incontrovertible evidence will be almost impossible given then nature of our sport and any ability to assess the impact dispassionately. let us please bring angling into the 21st century – Or do you intend to ban all boating from March through to July in case it disturbs breeding fish etc… No, of course not! As always when these ‘debates’ on the closes season arise, there is some name-calling (“greedy” and “idiots” as examples, although I get used to being called an idiot by hydro developers), but these words do not win good friends. Mike Heylin himself said, at the end of a presentation he made on this subject, that we should all remain friends for we all have the same ambitions for the sport. So no names please and don’t set yourselves on high pedestals thinking you are better than others since they are fragile structures and when they collapse you can fall very heavily. There are no differences, we are ALL anglers! I did mention in my piece for the Angling Trust website about some people whose thinking was “stuck in a rut”. It wasn’t intended to be offensive, just a statement of a condition that some folks are in, just like them saying they will always vote for one political party because their father and grandfather did the same or that their perceived class in society only allows that. You’ve perhaps heard the modern buzzwords of ‘blue sky thinking’ or ‘thinking outside the box’? Yes, I don’t like those terms, but a method of thinking was taught and promoted by Professor Edward De Bono (lateral thinking and all that). The idea being, you have a problem (even if you personally don’t consider it as such) and how do you solve it? All ideas you might have could be coloured by history, ‘tradition’ in this case, or other constraints such as costs or convenience. I will wager that a lot cannot do this, hence my “stuck in a rut” comment, but free yourselves if you can and think afresh – What are the greatest threats to our rivers? What causes the greatest loss to our fish stocks? Why is recruitment in some areas so poor? I guarantee you will come up with many causes, effects and solutions that are far more beneficial before arriving at a fixed national fence on fishing activity. Try it, just free your mind! excellent Jeff – well argued and succinctly put. A fresh approach unencumbered with views from days gone by is just what we need. As you will have gathered from my posts, I see no sound reason for a close season and have yet to see a valid argument from anyone in its favour. Regards. Some of the responses on here make me smile, you’d never think we all have the same interests at heart! Yes I care about fish, wildlife, conservation etc. and I care about it around pools, canals and rivers! That’s why I think a study is 100% required, so that we can make decisions based on facts and not feelings. What is the difference between the fish in a river and those in the pools and canals? They have the same or similar species and are all affected by the same factors, so if it was seen as fit to lift the close season on pools and canals, it just makes the EA look foolish leaving it in place on rivers! Forget having a break in the closed season, or profit/loss in the tackle industry, this decision should be based on facts about the effect on fish and wildlife. Personally I support lifting the close season, purely because the so called experts that we rely upon, must have thought that it wasn’t harmful to the fish in pools and canals. If following a study it is proved that lifting the closed season is detrimental, then yes it should be reviewed on pools and canals. Please Angling Trust, don’t let this be the same debate as we engage in every year, make this one count and get some answers once and for all … otherwise, to your membership, you look as weak and foolish as the Environment Agency! An interesting debate, however I am still waiting for some one to explain the difference between fish in rivers and fish in pools and canals. Some high profile people in angling support the closed season for their own ends as they have interests in commercial pools and lakes. The closed season is out dated, I fish the Severn, well try to, from April to October its impossible to fish some areas as the pleasure hire boats are all over the river, no regard for anglers or wildlife there. Then we have the floods – leaving little time to fish at all. Do the E.A. actually want us to leave the rivers all together so they do not have to patrol the banks, after all 40 carp bashers are easy to check around a pool. We have caught Perch from the Stour full of spawn in December before now. Anglers on rivers are dwindling away to nothing, who will police the rivers and clear the banks when we have all given up and we end up sitting like gnomes around a hole stuffed full of suicidal carp. The bottom line is this – how can any one advocate keeping the closed season on rivers while allowing angling on pools and canals – the fish are all the same. Lift the close season altogether or re-introduce it on canals and rivers. I bet we would get the support of the commercials then. 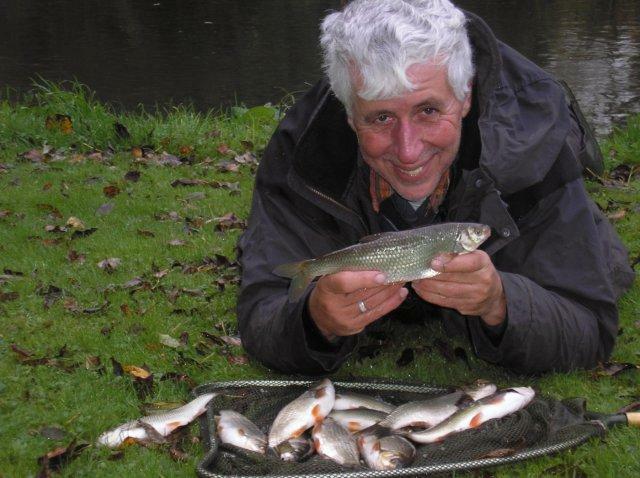 I believe that the closed season is good for fish as well as other wildlife and ought to be extended to lakes and canals, as it was in my younger days. If anyone wants to fish between March and June they can always take up game fishing. My local reservoir, Bewl Water, opens on 21 March, just a few days after the coarse close season on the rivers commences. You never know it might extend your horizons somewhat. In other words, the desire for users, owners or lessees of a particular river system are imposed on all others in this debate as a statutory requirement- if this were removed, those who prefer to impose a closure of their fishery can do so, at any time and for any duration, without imposing this on other rivers that may be different in nature; for example the requirement for a closure during the breeding season (for this is surely the only reason for such closure?) for say the River Wye or Test would be completely different from say the River Ancholme; a long, straight, deep, slow running river controlled by lock gates into the Humber, whose flow is so limited by heavy abstraction that it needs to be supplemented by pumping water in from other river systems in the summer, and which is more like a canal in nature. River Trusts are best placed to take on this task in a balanced way and have more drive to actually deliver; we formed the Ancholme River Trust recently and are looking the take the burden off the EA with regards to “gardening” issues like bank maintenance and weed cutting to save money and deliver a service for all requirements of the river system, not just flood defence. When CRT finds its feet we will do the same on our length of canal. PLEASE, PLEASE, suppprt the move to end the stautory requirement to close our river between these dates and let us make decisions based on local conditions and requirements, and please get involved with the rivers you like to fish and make your decisions on whether a closed season is required and when it should be at that level instead. Those who just want to impose their views on others for nostalgic reasons should also consider that the times they have a changed; there are now commercial fisheries and the climate has changed dramatically- the statutory close season on rivers is old fashioned, its support is often ill informed and damaging to the future of this great sport on natural venues. Another thought-provoking article Martin, which I have given some deliberation over the past week. While I am an avid river angler who would benefit from an extended river season, my views go further than the personal gain of being able to fish rivers into Spring. The current system may have stood the test of time, but there are some peculiarities that really need to be addressed and the circumstances and society we find ourselves in are now different from those even as recent as 1995 when the Stillwater close season bye-laws changed. Until recently I was keen advocate of the river closed season. In fact, I was against the 1995 change (for stillwaters) although I acknowledge that I was in a minority in my then club at that time. Since then, with the advent of the owner/managed stillwaters (the so-called “commercials”) and the boom in the day ticket angling market I saw the sense in opening up fisheries to anglers, where the risk was on the owner to manage the impact on the stocks while running a sustainable enterprise. Although that in itself is whole different debate, with some owners/operators (I include some clubs in that) taking proactive measures, such as banning or limiting the use of keepnets, not holding matches or closing particular pools at times. While other owner/managers treat their stock, as they are freely entitled to do, as nothing more than a commercial asset from which to harvest cash from their customers with what appears to be little care for their welfare. In years to come we may even see some of those owners take this a step further, when they realise that their stock have outgrown their fishery, and literally start harvesting the stock for sale to supermarkets or local delicatessens. That may cause some uproar from some anglers, but it may also reduce incidents of poaching for the table. Anyway, I digress. Returning to the close season debate, given the huge reduction in angling interest and pressure on our river stocks over the past two decades (2 anglers on my club stretch of 72 pegs on the last day of the season! ), which leads to less eyes and ears on the bank in and out of the season (I bet most anglers still walked the rivers during the old close season prior to 1995), increased incidents of out of season poaching (especially for the table), I can see some benefits from allowing those few anglers who fish rivers to continue to fish rivers during the “close season”. While there may be some detriment (i.e. spawning fish being disturbed etc) if there is a particular concern or issue, then the owner/manager should do the decent thing and close the water, just as they can do with a stillwater. We also have the whole mismatch of the timing of the close season. While I accept that the seasons change year to year, if it is considered sufficient for the owner/manager of Stillwater to manage their stocks in the prevailing conditions, then surely it should be acceptable for a river “manager” to do the same? That must be preferable to the situation where we cannot fish for chub and barbel in prime mid-March health, but we can fish for them when they have just spawned in mid/late June. That may put a slight burden on fishery managers and clubs, but it is far better for the fish than the current blanket policy of 15th March to 15th June. There are also the anomalies across watercourses and before anyone says “Commercials can look after themselves”, we need to consider the disparities here. In 1995 the rules were changed to allow stillwaters to open on the basis that owners/managers would manage the stocks, although it is arguable that some don’t manage as well as others and that some stillwaters are commercially operated and others are not. That then left us with a mad situation of some canals being open and others closed due to regional variations, as they were not considered to be managed in the same fashion as owner/managed stillwaters. In 1997 research was undertaken on the risk to canal fish, which was easily undertaken as some canals were open and others closed. This led to the 2000 bye-law that allowed canals to be open during the close season. So that now leaves us with unmanaged river fish being protected by a close season, while unmanaged canal fish are fair game for angling. Furthermore we also have the additional utter madness of some real peculiarities, such as on Peterborough’s Ferry Meadows lakes, into which the river Nene flows, that has open areas and closed areas on the same lake during the close season! I defy anyone to defend the status quo when it is legal to fish one bank and conceivably cast 150 yards, while it is illegal to walk around the bank and cast 20 yards to the same spot. Is the location of your chair/seatbox/feet the import aspect here, or where you put your rig and bait? If you had asked me ten years ago, I may have said that the close season should stay but perhaps the timing changed to move it back to 1 April (or even from 1 May) to 30 June, but I am now firmly in the time for change camp. However, I would couple the complete abolishment of the close season with a programme of encouraging owners/managers to take proactive measures to protect their own/natural stock, through limiting or banning keepnets or not holding matches during spawning periods, and through improved fish management standards and guidance. This wouldn’t just be aimed at those managing rivers, but at all fisheries. As there are some poor practices on some stillwaters with excessive biomass density and a lack of proactive measures on protecting stocks both during spawning and due to reduced oxygen levels. Perhaps on that aspect we need a voluntary but visible national standard on managing fish stocks for all fisheries, that rates a fishery based on its fishery management as that would help all fish, unlike the current situation that clearly fails to protect all fish whether in a natural river or man-made stillwater. Who originally decided on the close season, was it the fish? No. It was us, for some reason, the reason of which I am unsure. Why have a close season? Fish naturally spawn as and when their DNA codes it. Not us. So, unless scientific proven studies show a definite need for a close season…keep it open. “Back in 1878 fishing was largely conducted in matches, most likely between pub teams. There were no specimen anglers, no Barbel Society, no barbless hooks (I believe), no carp anglers with accompanying bivvies, and one other very important item of equipment that was also missing – there were no keepnets! Keepnets didn’t come into use until the early part of the 20th century and therefore in all of these matches, all the fish caught were killed in order for them to be weighed in at the end of the match. The LAA even brought in size limits for fish that could be weighed in the hope that this would save some of the juveniles and allow them to achieve better weights. Well, back to 1878 when Queen Victoria was still in mourning over Prince Albert, the belief amongst the London and Sheffield anglers was that by introducing a close season a lot of fish life could be saved, particularly the gravid (pregnant) females. Kill a female about to spawn and you also kill off several thousand eggs and thus reduce the potential fish stock for the future. You don’t have to be Einstein to work that out. That, in a nutshell, is it although there were many arguments at the time about the dates and different people had different ideas on what species of fish to protect at the different times. In all honesty, had I been alive at that time and equipped with their limited knowledge, fishing tackle and methods as were practised then, and the lack of keepnets, I think I too would have been in favour of some form of close season. I am not against close season’s now if it is the will of the people/club members in a particular area where fish stocks are poor and might benefit from a fence of some sort. It’s the fixation with these two dates and the statutory blanket ban that I would like to see got rid of. Also the fact that any offenders now are the subject of a criminal action and it goes on your record thereby perhaps preventing you from obtaining jobs in the future. Of course, some may say “Good!” to that. I do hope that the representatives of the Angling Trust are keeping an eye on the proceedings here and are noting that the Close Season is probably the most divisive topic in modern Coarse angling. You can see how it divides and annoys virtually everyone regardless of which side of the debate they fall into. Personalities are brought into question, insults fly around like confetti in a gale, subterfuge is employed, and confidences are betrayed in order to provide cheap shots at opponents, and yet the main points for discussion are lost in the morass that remains. If, and I sincerely do hope it is the biggest if in the life of the Angling Trust, they decide to push for the Close Season on our rivers to be abolished that they first look at the division that would result. The Close Season is not only for the benefit of the fish but also for the replenishment of the river banks, for ground laying birds to nest and breed and for all types of flora to blossom in peace. It provides a necessary gap in proceedings for a multitude of insect life to hatch and it says a lot about our credentials as caring conversationalists. Arguments that it is an ancient law employ a high degree of obfuscation and totally ignore that fact that the Close Season was reviewed fully in both 2000 and 2003 by the EA, so at worst the reviewed and revised law is but 14 years old. Personally I am totally in favour of maintaining the Close Season but am prepared to be convinced that the date(s) could be studied, over a period of several years, in order to provide even better or longer protection. It is incontrovertible that this debate began based on the commercial interests of certain individuals and/or trade interests. To argue otherwise is to redefine what Martin Salter wrote in the first place and is disingenuous in the extreme. Finally, and as I have noted previously, we anglers are being arrogant in the extreme if we really believe that it is only us anglers who are concerned with this topic. It is a matter of fact that we share our rivers and their environs with many and diverse other groups all of whom will have a voice to be heard as well, and rightly so. As ever Peter you allow you barely disguised hostility to the Angling Trust to get in the way of the facts. 1) this debate happens this time every year but I decided to try and give it a bit of structure and to create a space where we could test the arguments on both sides. There was no commercial imperative at work – in fact the easiest thing that AT could have done is to ignore the issue altogether. Not an option in my view when anglers were catching barbel in June last year that were still secreting milt. 2) The 2001 SAFA review recommended the abolition of the river close season. 3) the majority of comments we have received have been considered and respectful but there are unfortunately too many idiots out there who resort to personal abuse or the impugning of the motives of those with whom they disagree. 6) I’m glad you agree that the dates of the current river close season need reviewing – that’s one of the reasons we started the debate on this issue this time around. To move the dates for the closed season is madness! On the 16 of June we have a few days and then the days start to get shorter. To move to the end of June will make it worse. Currently most river venues don’t allow night fishing so our value of licence would diminish. We should ban the closed season completely. It was put there to keep us serfs off the river when the salmon are running. Ask Keith Arthur where will he be fishing in the closed season? Will it be a mucky pool or a cannel in sunny Wolverhampton.I think not. The river banks are all ways empty of anglers so there is no damage to wildlife or vegetation. The few anglers present keep an eye out to protect against poachers if we were there. I could go on but I am sending this to you in the hope that you will post it without changing its content, as every note I send to the angling times is changed and parts taken out that don’t go down well with their opinions. I am not hostile, per se, towards the Angling Trust but I have taken some of your comments to task on certain issues when apparently speaking on behalf of the Trust. Also, if you check with Mr Lloyd I think you’ll find a couple of donations, over and above my annual membership fees that were made in the past . . . . . . . .
As for any potential alterations in the date(s) then yes, I have said that for a couple of years now, but only based on sound scientific study evidence. Not much care for bank side regeneration, nesting birds or spawning fish as the Environment Agency Dredge and dig the banks of Somersets rivers for the next seven months ! I think the closed season on ALL rivers should stay; for the good of the fish’s welfare as well as the bankside vegetation. There are already plenty of commercial fisheries which are open during this period, thus these people must be shopping at the tackle shops throughout this time? I understand that the tackle shops must find it a lot slower during this part of the season, but we can still support our local tackle shops by buying gear for the new season. As regards to the flooding this year, I feel as river fisherman this is an obstacle we must learn to accommodate, and putting all year round pressure on our rivers can only make things more difficult in the future for all species.. I remain strongly in favour of the retention of the current close season dates, for a variety of reasons, but the main reason is, in my view,based firmly on conservation grounds. Although the current dates are not perfect,and never could be, they do offer some respite,protection and respect for our fragile wild river fish populations, which are under increasing pressure, and not only from anglers. Riverine fish have to be naturally self-sustaining in order to form stable populations, and catching and handling fish before, during and after spawning must put them under stress at a very vulnerable time, and is likely to affect spawning success and recruitment, especially on smaller rivers. Rivers are different to stillwaters, much more delicate ecosystems, more difficult to manage, and it is not feasible to maintain fish populations in rivers by stocking. It is hard to prove this hypothesis scientifically of course, and any valid research would have to be on a large scale and over a long period in order to be conclusive, and is therefore impossibly difficult. We must use sound logic and judgement. It does not take much logical thought to work out that recapturing fish over a 9 month period carries less risk to their welfare than continuing unabated for 12 months, and most importantly, continuing through the breeding period. We do recapture the same fish over and over again, and any increase in capture rate will carry an increased risk to their welfare. I think they need a rest! Adopting this precautionary principle makes sense to me, especially when fish populations are under threat from habitat degradation, climate change, predation, poor water quality, never mind angler pressure, and in this country that pressure is considerable, with human populations rising and some river fish populations apparently falling. A simple blanket ban on all running waters is the only sensible way to continue, and attempts to tinker with dates, local management, and distinctions between one river and another would be unworkable. The differences between rivers and complexities of clubs with adjoining or adjacent fishing rights would be a recipe for conflict and confusion. The other arguments in favour of the retention of the current dates are valid, and.a general respect for fish and the riverine environment should not be ignored. Angling is not just about getting your money’s worth and exercising your perceived rights by exploiting wild fish populations for your personal enjoyment or gratification, or providing income and profit for the tackle industry, fishing clubs or fishery owners. These factors have to be taken into account, but the effect of losing the close season would be marginal to commercial interests I suspect. Losing it could risk real damage to fish stocks, spawning success and recruitment, but could also damage the wider environment and the public image of anglers. Good point, well made. the unselfish voice of reason and moderation. Keep June 16th special; keep the close season! John B. Sorry – but I for one disagree. The argument in favour of a close season is, as you say, well made but once again rests on speculation and emotion. It offers no evidence – and ignores the evidence we do have of abolition of closure on canals. This clearly supports the view that no significant harm occurs if fishing does take place through the spring months. I repeat that the reason we have a close season is because many years ago coarse fish were taken for the table (as are so called game fish) – as we no longer kill the fish we catch, the close season is pointless. Any decision to close waters should be down to the controlling club or riparian owner – not this blanket closure that we have to endure at the moment. Certainly the rivers around here (middle Thames and tributaries) are not intensively fished or subjected to great angling pressure – I really do not see what all the claims of significant harm to fish stocks is based upon. I suspect that the concern is most likely around a relatively small number of anglers remorselessly pursuing such ‘individual’ specimens in small rivers – Adams Mill on the Upper Ouse comes to mind. This surely is a matter for periodic closure by the controlling club and should not form the basis of a nationwide closure on ALL rivers…. The issues which have far greater impact on fish stocks are many and varied – amongst them I would place water quality, pollution, changing environmental conditions, dredging (OR NOT DREDGING!) Otters, Mink, cormorants etc. etc….. You will also have a list of these issues I don’t doubt. Abolish this nonsensical closure! Let us concentrate on the real issues affecting us. I find I must take issue with some of your points, Pete. You say we must have a close season for the “protection and respect for our fragile wild river fish”, if they are that “fragile” perhaps we shouldn’t be fishing for them at all, a point the anti-angling lobby would like to take up maybe? Also “Rivers are different to stillwaters, much more delicate ecosystems,” Where were you during the recent flooding on the Thames? I’d hardly call 380 tonnes of water passing through each and every second – “delicate”! If anything, fish and much of the river environment is a lot hardier than its equivalent in stillwaters, everything enjoys so much more oxygen for most of the year and fish have to battle currents on an almost daily basis. I’m afraid you’re using the same emotive old women’s stories to support a law that has no place in modern angling. And as for your comment “the public image of anglers”, I’m afraid that most of the public I speak to think the best place for a fish is covered in batter lying next to a goodly portion of chips – with tartare sauce. That’s all the public know about fish, they don’t know about close seasons and don’t even care. Sorry to shatter your beliefs, but they’re completely wrong. Mr Woodhouse………it’s you and the minority of coarse fishermen ( note, not anglers) who are bringing our sport into disrepute in calling for the abolition of the closed season for coarse fish on our rivers. It would be interesting to hear what the game anglers think about your heretical views. Most of you who want it abolished have a financial interest in doing so, usually guiding………we can see through the guise! I’d suggest it would be better for all of us if you took up another hobby or sport and leave angling well alone, it’s quite obvious you care little for it, may I suggest golf………they don’t have a close season! I’m always so sorry for angling when folks like you, Mr Burt, use insults and trying to separate some of us from the sport by putting yourselves on very high pedestals. Firstly, I am not involved in any way financially or otherwise in angling and I do not ‘guide’, as you put it. I AM AN ANGLER because I fish with rod and line and a hook (the angle, for your information) and your about fourteen years late in recommending I take up another sport. Fred Crouch kindly offered the same advice in 2000 and I’m still here, still fighting, perhaps more than you, for fish and anglers. That sort of attitude wins you no points, so please refrain from passing insults and trying to denigrate those amongst us that are trying to find a better way forward rather than being, as I said before, stuck in a rut. As for golf, it just gets in the way of a good walk. I’d rather do what I am doing at the moment, fishing the rivers for trout until probably early July when I may start again for barbel and chub. Well Mr Woodhouse I’m rather glad that you found my response offensive….. as I find your stance on the closed season equally offensive. Your remark to Pete, who I regard as a good friend, that his beliefs are totally wrong is your point of view, but fortunately many of us agree with him wholeheartedly. Pete has spent many years studying river morphology and fish behaviour in conjunction with some of the best minds in fishery management, who are you to disregard his knowledge? I spent 30 plus years running a very successful fishery and lectured in countryside and fishery management for over ten years……..enough said about what I have put into angling! Personally I think you should have taken dear old Fred’s advice……..please for the sake of angling find another hobby, you’re certainly not fighting for me or the fish! Well done Pete. I agree with everything you say and I will fight tooth and nail to keep the close season as it is. It is essential on rivers in my view, especially on small rivers like the Kennet , which get very heavily fished day and night .I love the close season , as it gives me a chance to see my wife , and catch up with all the odd jobs , without worrying about going fishing. June 16th is a special day for me. Long may it remain that way. Pointless . The best part of the year before the heat of summer and the flood of winter when there maybe only me and a few others on the banks and I’m not allowed to fish. Oh come on Dave we know why you want to see the closed season abolished, so that you can make more money coaching and guiding without a thought to the impact on the wider ecological environment…..enough said. With the exception of Mr Burt this has been an intelligent and respectful debate with good points being made on both sides of the argument. If there is any further personal abuse from Burt or anyone else I shall commence editing and trashing future comments of this ilk. Dave, that’s a good well written piece by Matt (I feel I could sue him for plagiarism in some parts :o)).. Just a question in the search for compromises – do you think that matchmen would support a ban on keepnets (meaning a ban on matches also, of course) for a period during spring months (not necessarily the existing dates)? As for the cost of a review, it might come to more than £100,000 now, possibly doubling or more, but this to the EA is small beans. 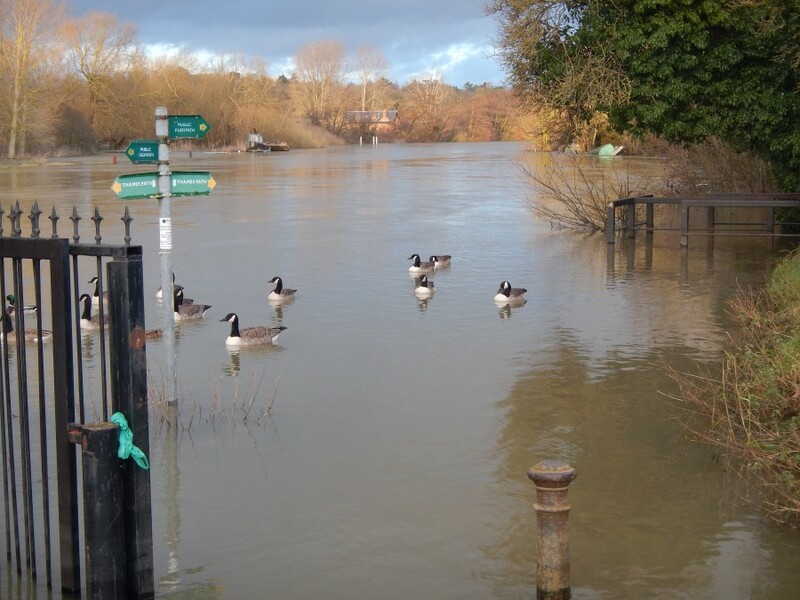 It costs £½m per year just to operate the Jubilee channel to protect Windsor and Maidenhead from flooding, so half of that on a 1million plus anglers would be money well spent – whatever the outcome. I don’t know if I’d trust the EA to carry it out though, perhaps HIFI or another professional and independent body. Wonderful piece though, well done Matt. excellent article – I also believe that high profile anglers such as Keith Arthur (for whom I have great regard) are misguided in expressing such forceful views based on emotion in place of facts.. I have also suggested that comparisons with countries where there is no close season take place and comparing with the impact on canals (none that I have seen) as a way of gathering evidence. My personal preference would be for a simple vote on the EA web site – I did suggest that to vote a current rod licence number would be required. That would surely be a relatively cheap way forward – and would at least be democratic!!! Sorry Martin but this I thought was a countrty in which free speech was still allowed and this is an emotive issue for all of us who care not only about the environment but also the public perception of angling. The closed season was abolished on still waters purely on economic grounds to pacify the owners of commercial fisheries and I see no difference this time around with those who make a living out of guiding, surely I am allowed my opinion? Mr Burt you are allowed an opinion but you won’t be reading about it on here anytime soon unless you cut out the personal abuse and address the issues around the close season rather than impugning the motives of those with whom you disagree. I strongly agree with Pete Reading for all the reasons he has listed (I could write more) and strongly disagree with Jeff Woodhouse over all of his. Wild fish, because that’s what river fish are, wild, both in classification and in law, are not ours to use as a commodity as and when we please for our sporting pleasure. We have a duty of care to ensure that our sporting instincts adopt provisions that take steps to protect and preserve the species we pursue in the same vein that all sportsmen do with their quarry. Are we river based coarse anglers superior to river based game anglers who revere the close seasons for their quarry? Do we read about the shooting fraternity pushing the BASC or the Game Conservancy Trust to abolish or alter their close seasons? I remember well when coarse and game anglers leant their support to sea anglers when the pair trawlers came sweeping through bass spawning grounds destroying centuries old sites for bass spawning. Would this organisation now lend a hand to see rod and line sweep over our nations river spawning grounds? Or will they put their shoulders to the wheel to stop this madness? I am unashamedly passionate about rivers and river fishing. The rivers close season is for me a huge part of my love affair and a chance to be involved in putting something back via my abstinence for three months a year. But now, I see the very organisation I thought would fight tooth and nail to keep the rivers close season gather at the abyss seemingly eager and keen to sweep hundreds of years of angler conservation away. Many here, believe they are right in their belief that our wild fish no longer require the support we give them via the close season. Who among us then will speak for our quarry? The Angling Trust? We cannot count on your support. Anglers who believe in retaining the rivers close season will not stand by and watch this happen. We will call upon every single conservation based organisation across the nation to back us in retaining the close season on our cherished rivers. How many can you bring into the clearing? A hundred? A thousand? Ten thousand? We can bring millions and yes, they will come. Bird watches, wildlife lovers, land owners, shooters, game anglers, farmers, every conservation organisation we can contact, MP,s (especially those who want re-election so like to be on the biggest side) and yes, even royalty. You have sown the seed. Now reap the whirlwind. “Fish that live in running waters or waters such as canals and lakes which are integrated with, or are connected to, a river system are considered to be “wild creatures” which belong to no one. If these waters are stocked by the owner or tenant of the fishery the fish, once released, are deemed to have been released into the wild and thereby become wild creatures that belong to no one. However once caught it becomes the property of the persons catching it.” And so on till the cows come home. R.I.Millichamp Anglers Law All of which is part and parcel of the Theft Act 1968 Section 1(1) that I know inside out upside down. And your point is please? Who of us knows more about angling law? You or me? Or the EA top solicitors? Peter Carty might well tell you that angling law in the UK is shot full of holes and can vary from area to area and differ widely. The one thing that does not change however is the classification of river fish. They are wild creatures. You say tomato and I say tamoto, tomato- tamoto tomato-tamoto lets call the whole thing off. Have to be my age to or older to know that one je. Superbly put Lee, you are as passionate about retaining the closed season as I and many others are. We will fight this and win as we did before, for common sense, decency, conservation and tradition. I will be writing to the RSPB as a life long member and the wildlife trusts asking for their support. Regarding the close season debate. As I was opposed to the scrapping of the close season on still waters I do not coarse fish between mid-March and mid-June. I do not want to catch tench in April and May clearly carrying several pounds of spawn, just to get a p.b. The Kennet is a river I am very fond of but is suffering (in common with others) from a lack of fish stocks. It needs all the help it can get and not more pressure at a vital time when the remaining fish are preparing to spawn. With regard to the tackle shops, there can be few that do not have all year round fishing nearby, either commercials, carp or club waters and yet they still struggle, irrespective of where they are situated. Many anglers tend to shop on the internet for their major items of tackle these days rather than supporting their local tackle dealer. This is the major problem and scrapping the close season on rivers will not alter this. As Martin mentioned in his original piece, you can have situations after a cold Spring where fish such as barbel are still spawning after June 16th so unless we are going to extend the close season by several weeks, the present break will never be perfect but still probably gives protection to 90% of our fish stocks at a vulnerable time .We surely do not need a scientific survey to tell us that pursuing fish during the run up to spawning cannot do them any good and more likely harm, this is just common sense. Hence the cautionary view rightly taken by the E.A. in the past and hopefully continuing in the future. The Angling Trust have enough major issues to deal with on our behalf without being distracted by this infighting amongst ourselves over a completely unnecessary distraction. As members of the Trust we should be setting an example on fish welfare and if we are to keep any shred of integrity in our sport, we must maintain the present three months break on rivers. Well said John. Some good points which I fully agree with. As already mentioned I am in full support of the close season on rivers for the same reasons given by Pete Reading and John Parkinson , who I have great respect for .I would just like to add that I am the Secretary of my local Angling club Byfleet Angling Association ,and we have always respected the close season.Most of our waters are on the River Wey , and the large majority of our members are river anglers. We just about have enough members to be able to pay the rents for our waters. However ,if the close season was shortened or abolished , I am sure our landowners would be asking for more rent , which we could not afford. I have spoken to many members of Byfleet Angling Association , and asked for their views on the close season , and the majority are in favour of keeping the close season. Being an angler for over forty years I’m saddened and ashamed to see this debate has once again come to the fore. As far as I’m concerned the Close Season works perfectly well as it stands, the timing may not be absolutely perfect due to seasonal variations. However, we must be seen to be concerned for the welfare of our river fish at such a sensitive time when they are reproducing. As a group if we cannot even agree on issues such as the Close Season amongst ourselves how are any of the environmental organisations ever going to take us seriously when we challenge them over things like cormorant predation. They’ll continue to do what they do now which is ignore us because we don’t even have coherent view on a simple issue like the Close Season. The issues associated with river angling are sadly far greater than whether we have a Close Season or not and I’m amazed that anglers cannot see that. Unfortunately the way I see it is that its angling’s inability to address the big environmental issues that the sport faces that have got us to where we are now……In a mess basically! Anglers need to think about the bigger picture rather than just the selfish view of wanting more time to be able to fish in my opinion. Excellent Ralph. I totally agree with what you say. I am a staunch advocate of the river Close Season and firmly believe it should be retained and for the full three month period – although I think there is room for a slight amendment to the dates. I fish exclusively for barbel and sit it on the bank right through the colder winter months. I therefore find it a little frustrating that 14 March comes round to end the season often just as the weather improves, high water levels start to drop and water temperatures increase. We all know that fish spawn at different times of the year depending on species. Barbel and chub are nowhere near spawning on 14 March and, in my experience, are occasionally still spawning when 16 June comes round especially when we have had a colder spring. The three month close season should be retained in order to give fish the chance to spawn in peace and to give the bank side vegetation time to recover. I do, however, consider there is room for a slight alteration to the dates – say I April to 30 June both dates inclusive. I think the close season should be lifted, the fish depend on the right conditions to spawn, I have often gone back to the rivers after the close season and there sometimes just starting to spawn. My comments are simple and have really already been reflected. Irrespective of spawning issues etc I simply think that the river banks, particularly the popular ones, need a rest from the increasing number of trolleys, two rods, heavy weights, and baitrunners which now seem to populate some of the stretches of Ribble that I fish. Its a real pleasure to stroll down these same stretches with a fly rod in hand knowing that the only splash is likely to be a rising fish and not a 4 ounce feeder. In addition, I think its healthier for the individual to have a break rather than the same old same old 12 months a year. You have football for that. What the close season means to me is that our rivers are open to the purge of eastern Europeans that without a rod license steal the fish in our waters, it does not matter to these people that a twenty pound carp will have took best part of twenty years to grow, they just knock it on the nut and steal it, if I was caught fishing without a license then I can expect to pay a £2400 fine, my local waters has dropped the night fishing ban now purely for that reason and it is working, these people do not come when there is a angler present, we need to protect our sport from these illegal persons who wish to steal the fish, drop the close season law and in doing that we may be able to protect our sport for longer, within twelve months the river Meaden which which was teaming with trout is now completely sterile, guttet, jc. The Angling Trust were vehement in their “defence” of bass and a ban on targeting spawning fish in the English Channel recently. What difference when it comes to defending spawning fish in rivers? I’m not aware of too much pair trawling in rivers Nick plus the review of the evidence behind the current river closures could lead to more protection rather than less or possibly a different and more meaningful close season. And your point is?? Martin, I think you’re being just a hint facetious aren’t you? The close season on pair trawling for bass is apparently to improve stocks by protecting spawning fish. Precisely the reason for our current river close season. Surely the two are inextricably linked…as in protecting spawning fish? For the record I support the river close season. I see any consultation on any close season (available and widely publicised by all and any media channel) for all anglers as a good thing…as any proposed restrictions on angling should be so consulted… I was a little surprised that the Trust are sitting on the fence on the issue regarding there views on other close seasons. If the close season (after due consultation with all licensed anglers and with applicable scientific data used) requires alteration then fine, I have no problem with that at all. I think you’ve answered your initial question Nick in your final paragraph ! So we are here again, the same debate every year. When will someone listen to us and remove this out of date close season. I think I will go out next week with my half inch gape hook and worm bait to target eels and non migratory trout – I hope no other fish eat my bait! Not really Martin, I was rather hoping that you would answer by giving the Trust’s view. If I have indeed given the Trust’s view then wouldn’t it just be easier for the Trust to say so publically and not leave it open to guesswork….and does it also mean that a public consultation is in the offing? It’s all on the website Nick…. I can’t see the answers there Martin, could you highlight them for me please? Nick. As I said the AT position is set out on the website and yes if the EA study comes up with convincing evidence for recommending any changes these would have to be the subject of statutory consultation. That’s the law. I have nothing more to add at this stage. The rivers are being lost to angling due to other interests, boating, canoeing, cycling etc. The best time to fish rivers would be during the close season. Last 2 winters the Stour was mostly unfishable due to floods, come summer the boat traffic is heavy. Angler’s are moving to lakes. With fewer fishing the river l can see clubs renting more stillwater at the expense of rivers. They may then be lost to angling forever. To say angling is bad for rivers March to June is negative! End this outdated close season before its too late! Absolutely agree Bob. The current close season is based on emotion not science and experience with the abolition of a season on canals strongly indicates that any adverse impact on fish stocks is negligible and probably offset by greater angler presence on the bank keeping a watch for pollution etc. The close season was introduced when coarse fish were taken for the table and so breeding stocks had to be preserved but as we no longer take coarse fish for the table, there is simply no logic to retaining a close season for coarse fish! Good luck with this but you will be opposed by closed and irrational minds…. A pox on them all!! Just a little update on this year’s close season. I have the opportunity to fish a weirpool from the 1st April for non-migratory trout (this should not include stripey trout or the longer toothy trout, but they do occasionally get hooked). However, what with time constraints and the fact that I have been busy preparing four new river fisheries for our association, I haven’t had any chance to try this. There has also been the longest, in my memory, diatom bloom on the Thames this year turning the water at times like brown Windsor soup, which puts paid to the idea of spinning with a lure (the best method for Thames trout). What we have found in preparing these new fisheries is set lines with 40lbs line, 2/0s beak hooks and lead weights. These were removed only for them to be replaced the day after. They were collected as evidence and handed to the EA Enforcement team, but the question is – by whom and when were these lines being set in the close season? This in itself doesn’t give reason to say the close season should go, but were there more anglers on the banks at this time of year then perhaps the opportunities for these poachers would be removed or at least reduced. In addition to this, the EA themselves have been conducting electro-fishing surveys on certain rivers. Now if stunning the fish with a voltage doesn’t do any harm, what harm can a hook do, carefully removed and the fish being returned in good state to the river? There seems to be too much precaution on allowing us to fish, whilst the governors of the rivers (EA) do as they please. As a final piece though, our local EA fisheries officer was kind enough to help when one of our group reported the Fire and Rescue people training, walking around on the river bed, over potentially good spawning areas. A few quiet words from the EA and it was stopped, almost. Until the entire river system can be policed 24/7 to prevent people from breaking the law, the close season is an utter waste of time. Either way, it should go. Jeff let’s not pretend for the sake of political correctness that we don’t know who set these lay lines……that was another good reason for voting for Brexit! The Yorkshire salmon season needs to be broght up to date as the rule that applies now was a old netting rule,and netting the ouse estuary for example doesnt happen no more.